Prime members! 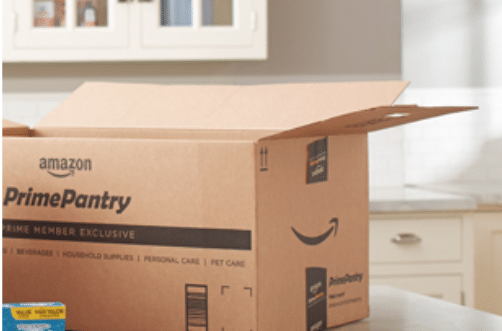 Amazon has a promotion for Prime Pantry orders where you can save $6 off 5 select products! Prime Pantry is a great way to buy single items, where usually you have to buy in bulk on Amazon. They have a bunch of natural and organic products included in the offer like Stacy’s, Spectrum, Garden of Eatin, Kashi, Stretch Island, Health Valley, Health Warrior Chia, Kind bar, Earth’s Best, Ella’s Kitchen and many more! Just go here to see all of the products included in the offer. Shipping is now FREE on $35+ Prime Pantry orders! Don’t forget to check out their huge selection of Whole Foods Brands products that you can buy through Prime Pantry!